Vice Chancellor for Athletics and University Affairs and Athletics Director David Williams has been named the 2017 Tennessean of the Year by the Tennessee Tribune, Nashville’s African American newspaper. 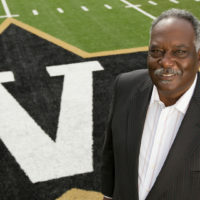 Under Williams, the Commodores have enjoyed unprecedented success, winning all three of the school’s national championships, which were in bowling, baseball and women’s tennis. 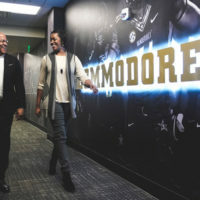 Since he assumed leadership of university athletics in 2003, Vanderbilt has won more than 19 league titles and tournaments, including the men’s golf and women’s tennis Southeastern Conference championships and the Southland Conference Bowling Championship this past spring. 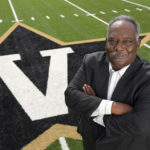 The Vanderbilt football team has played in five bowl games during Williams’ tenure, breaking a 26-year drought in 2008. The university only has appeared in a total of eight bowl games in its long history. Vanderbilt student-athletes earned their highest-ever overall GPA during the 2016-17 academic year, with a 3.177 as a result of 11 of the department’s 15 teams achieving a team GPA of 3.0 or better. 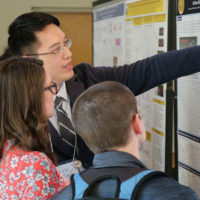 The department also had the Southeastern Conference’s highest Academic Program Rate score, 993.6, with five teams — men’s and women’s golf, bowling, lacrosse and women’s tennis — recording perfect scores. A hallmark of Williams’ tenure has been the expansion of academic and experiential opportunities for student-athletes. In the summer of 2017, Vanderbilt Athletics provided full financial support for 10 student-athletes to study abroad, an opportunity often not available to student-athletes because of their demanding play and practice schedule. The Athletic Department also offers the country’s most comprehensive summer internship program for student-athletes. In 2017, 84 student-athletes took part in summer internships in the Nashville area. The program has been recognized by peers as a model to replicate. In addition, the department sponsored its fourth annual international service trip, in conjunction with Soles4Souls, by having 25 student-athletes travel to Jamaica. Williams has led significant athletic facility upgrades and expansions, including Vanderbilt Stadium, Hawkins Field, Brownlee O. Currey Tennis Center, Memorial Gym, the Hendrix Dining Room, McGugin Center, the Student Recreation and Wellness Center, the golf teams’ clubhouse and hitting bay, a new bowling alley, and the multipurpose facility, which houses an indoor practice field that is used for varsity football, soccer and lacrosse as well as intramural and club sports teams, and an indoor track used by the Vanderbilt community. Under Williams’ leadership, Vanderbilt and Nashville have been selected to host a string of NCAA and SEC championship events. Vanderbilt will co-host the 2021 NCAA Regional Championship for Division I men’s golf and the 2018 SEC Outdoor Championships for track and field. Vanderbilt also has helped host multiple NCAA Regionals and Super Regionals for baseball and a number of SEC Championships, including indoor track and field and women’s tennis in 2017, men’s tennis and the women’s basketball Final Four in 2014, and cross country and women’s golf in 2012. Williams served on the NCAA’s General Advisory Board, its Academic Council, the Enforcement Task Force and was chair of its Infractions Appeals Committee. Williams is presently serving as a member of the NCAA’s Minority Opportunities Committee. 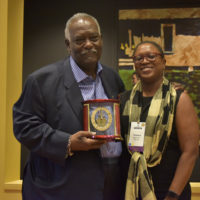 He is a member of the state bars of Tennessee, Michigan and the District of Columbia and is an active member of the American Bar Association, where he served on the Bar Admissions Committee. He was also a member of the Section of Legal Education and Admissions Standards Review Committee and the Standing Committee on Public Education. 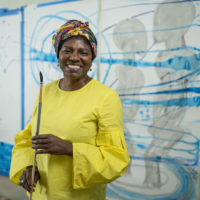 Williams also has served on the board of directors of numerous community organizations, including Nashville Public Television, Second Harvest Food Bank, Nashville Symphony, Adventure Science Center, 100 Black Men of Middle Tennessee, Special Olympics of Tennessee, the Center for Nonprofit Management, the Rotary Club of Nashville, United Way (chair), and the Nashville Branch of the Federal Reserve (chair). He presently serves on the board of directors for the Tennessee Sports Hall of Fame, the Nashville Sports Council, the Community Foundation of Middle Tennessee, and as the chair of the Nashville Public Education Foundation. 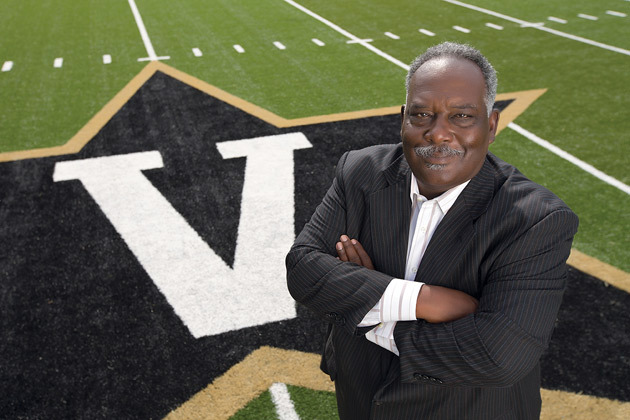 Williams was named Vanderbilt’s vice chancellor, general counsel and secretary in 2000 and previously oversaw Vanderbilt student affairs. In 2013, he was named vice chancellor for university affairs and athletics director. He is also a tenured full professor of law at the Vanderbilt Law School. He joined Vanderbilt after serving as a professor of law and in numerous administrative roles at Ohio State University for 14 years. 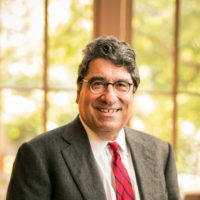 Over the course of his career, Williams has written, lectured and participated in many seminars on topics of tax law, sports law, law and education, and legal history. 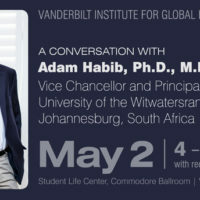 In addition to serving on Vanderbilt’s law faculty, he has taught at the law schools of Belmont University, the University of Detroit, Capital University and Ohio State University, and he directed the Ohio State University law program in Oxford, England, in 1992 and 1995. Williams is married to Gail Carr Williams, who is associate director of community affairs at Vanderbilt, and they have four children: Erika, who is a grade school teacher in Detroit; David III, who is a high school/college counselor in Detroit; Samantha, who is a lawyer in Houston; and Nicholas, who is a graduate student at Vanderbilt.